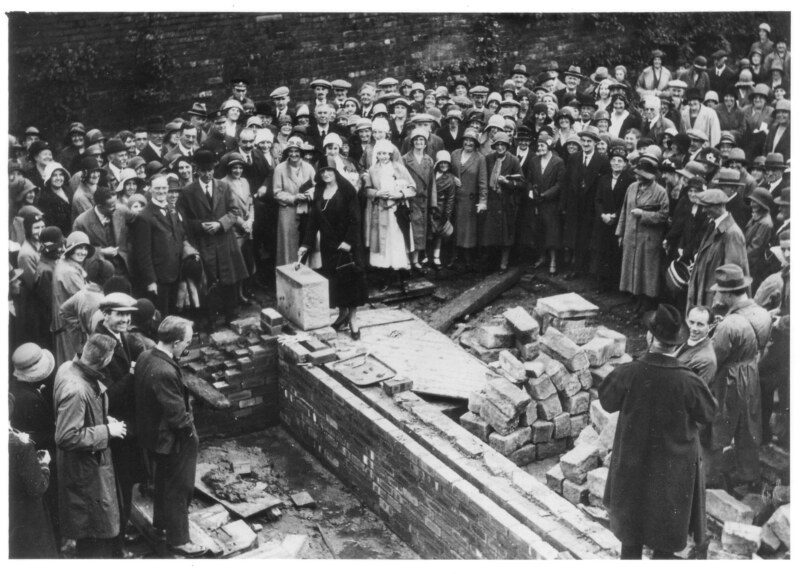 Laying the foundation stone ceremony at Skipton General Hospital, 15 August 1931. Names known: Martin Kerrigan, Mrs T. Lumb, R.B. Barrett JP, Mrs A. MacLeod, A. Dewhurst. Martin Kerrigan was my grandfather and the engraved silver trowel which he used on this occasion is now in the possession of my cousin Tony Kerrigan.